Based in Melbourne, Australia, Feng Shui home, office or corporations consultations provide by Feng Shui Consultant Edgar Lok Tin Yung. A must tool for Feng Shui Home or office Consultations. My Feng Shui consultation support your home, business office or corporation office. I am consulting widely on residential and commercial projects too. Over the years, I had Feng Shui for homes, small restaurants to large corporations such as Bank, Casino and clients from the racing industry. I am also a fortune teller in Chinese astrology. I provide Chinese Astrology consultations too. Businesses (a shop or a retail outlet) Feng Shui business Consultation! Who would benefit from Feng Shui Master Edgar Lok Tin Yung’s Feng Shui home or office Consultation? Someone who is purchasing or building a new home. Someone who is planning a renovation or extension. Someone who is experiencing problems with their health, relationships or finances. An existing business or company planning to renovate, reorganise or relocate. A business that wishes to expand or pursue their goals more effectively. A business that is struggling to achieve its financial goals. 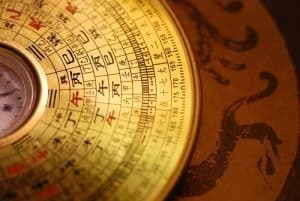 What do you need to prepare for your onsite feng shui home appointment? 2 copies of drawn to scale floor plan of your home, or business. The year your home was built and moved in date. Details of any renovations and extensions. Year,Month,Day of birth of all occupants live in the house. Consultation fee to pay your Feng Shui consultant. To get the best out of your consultant, do a bit of research on your home including previous owners. For Interstates or Overseas onsite Feng Shui homes or offices Consultation, Customers need to provide accommodation and travelling expenses!